What Does Code P0775 Mean? The transmission’s hydraulic pump pressure regulator valve is controlled by the pressure regulator valve that is controlled by a pulse-width-modulated solenoid called Electronic pressure control (EPC) or Pressure control solenoid (PCS) or Variable force solenoid (VFS) or Force motor. This device is normally closed, which results in high regulated pressure. Current (a maximum of about 1 ampere) allows the solenoid to open, which reduces the regulated pressure. This pressure solenoid is PWM (Pulse Width Modulated) so the higher the duty cycle, the more current and the lower the pressure and the lower the duty cycle, the less the current, the higher the pressure. The line pressure solenoid valve regulates the oil pump discharge pressure to suit the driving condition in response to a signal sent from the TCM (Transmission Control Module). The pressure control (PC) solenoid valve is an electronic device that regulates transmission line pressure based on the current flow through its coil winding. The magnetic field produced by the coil moves the solenoid’s internal valve which varies pressure to the pressure regulator valve. The PCM/TCM controls the PC solenoid valve by applying a varying amount of amperage to the solenoid. The applied amperage can vary from 0.1 to 1.1 amps. Low amperage, 0.1 amp, indicates high line pressure. High amperage, 1.1 amps, indicates low line pressure. The duty cycle of the PC solenoid valve is expressed as a percentage of energized ON time. Zero percent indicates zero ON time, non-energized, or no current flow. Approximately 60 percent at idle indicates maximum ON time, energized, or high current flow. The PCM/TCM determines the appropriate line pressure for a given load by comparing the throttle, engine speed and other inputs. 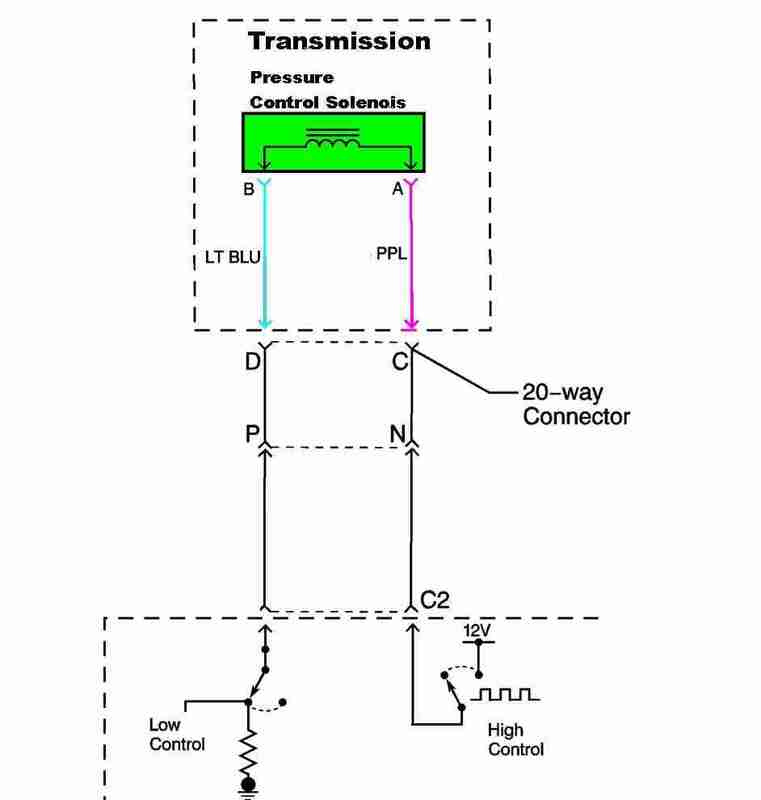 Figure 1 shows the pressure control solenoid wiring diagram. NOTE: Whenever diagnosing a 700 series DTC (Diagnostic Trouble Code) with a transmission, transfer case or other driveline components, check for a DTC under chassis and body systems, not just under “P” or powertrain/engine or emission control type codes. Module communications DTCs are “U” codes. These are most often found when looking for DTCs under chassis or body systems. Chassis related codes are labeled “C” and body system related codes are labeled “B” codes and these can cause drivetrain issues if they affect a sensor that is also used by the heating and air conditioning system. DTC P0775 sets when the PCM detects a continuous open or short in the pressure control solenoid valve circuit. What are the common causes of code P0775 ? What are the symptoms of code P0775 ? None found. Ask a question about P0775.